Content creators need to embrace video. Now. By 2021, as much as 81% of global search traffic will be coming from video content. If you are still competing with the millions of blog posts and other text-based content being published every single day, your traffic numbers are going to plummet and you will be left in the dust by your competitors. Here’s why you need to embrace video marketing today. Companies that use video content enjoy 41% more search traffic than companies that do not. According to a report by Cisco, that number is only going to grow in the coming years. And, while Google remains the number one most visited site on the web, YouTube is a close second. If you are not using video content to generate more traffic yet, posting a how-to video or a product walkthrough on YouTube is a great place to start! Takeaway tip: use your analytics tool of choice to quantify how popular each video is, measuring how much traffic and engagement you experience. This will determine what content works best with your customers, helping when you create more video content further down the line. What’s better than more search traffic? Your conversion rate is directly tied to your company’s bottom line, which means that it will be an important talking point in any and all marketing conversations. Good news: video delivers on this front as well. In fact, 52% of marketers around the globe say that, compared to other marketing strategies, using video content brings the best ROI. Companies that use videos in their marketing have 34% higher conversion rates than those that don’t. Additionally, landing pages with video generate up to 800% more conversions that landing pages without video. According to Wirebuzz, companies that use video content grow their year-to-year revenue 49% faster than those that do not. Takeaway tip: create videos with specific goals: sale of a specific product, subscription to an email mailing list, or any other goal you need. Videos convert, so create them with conversion goals in mind. Video content is THE way to get your target audience’s attention on social media. Snapchat users watch 10 billion videos every single day. 500 million Facebook users consume video content daily. And Twitter is not far behind either: 82% of Twitter users watch video content on the platform, too. Wherever your target audience hangs out, using video content is a great way to catch their eye. Moreover, video content also increases social media engagement. Sharing video content on social media generates 1200% more shares than posting other types of content, which means you are going to have an easier time getting your content noticed by new customers. Takeaway tip: rather than limiting yourself to YouTube, create videos for a range of social channels, tailoring your content to suit each one. Consumers are not just buying your product or service. They are buying you. When it comes to selling, you want your potential customer to feel an emotional connection to your brand. A 2016 study found that when consumers feel an emotional connection with the brand they will be 8.4 times more likely to trust the brand and 15.1 times more likely to recommend it to others. 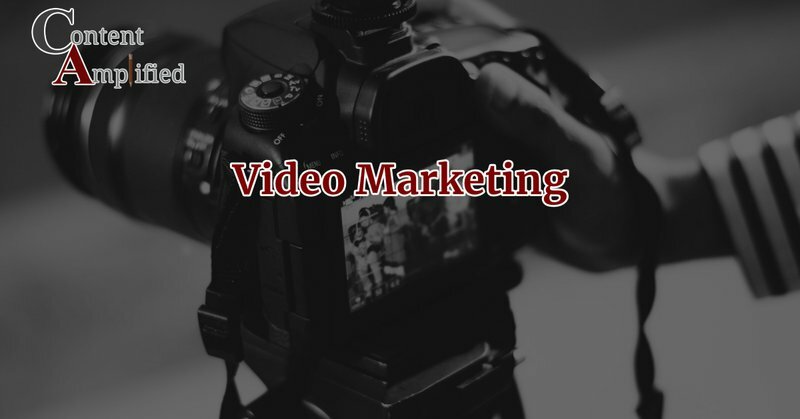 Video content helps you establish that emotional connection by putting a face to the brand name, and ensures that the customer’s visit to your site will not be a one-and-done deal. You might think that videos that create an emotional connection are a frivolous indulgence, affordable by big brands like Nike and Intel but not so by smaller, cash-strapped businesses — well, that’s simply not true! Check out newer online stores and you’ll find a healthy blend of video content that spans product sales, special offer promotions and, yes, emotional connections with customers. Indie apparel store KGM Collective, for example, often blends product drop videos that showcase the hard work, creativity, and inspiration that goes into their products. When your customer develops a strong connection with your brand, they will keep coming back for more and sharing your content with others, increasing brand awareness by as much as 52%! Takeaway tip: don’t just go for sales-led video. Create an emotional connection with your customers through storytelling and give your brand a human face. Even though it may seem like a big investment, video content is incredibly versatile. Once you have created your first video content, you can use it to drive engagement across all of your marketing channels. For example, if you have created a video tour of a real estate listing, you can also upload it to Youtube channel, send it to your email subscribers or even embed it on your website. In addition to that, you can then “slice up” that content to create short videos for Facebook, Instagram, Snapchat, and any other social media platform you use regularly. The bottom line? One video can give you weeks of digital marketing content and an incredible return on your investment. Takeaway tip: take your content further by chopping, changing, and repurposing it across your marketing channels. If the only reason you are holding back from creating video content is cost, you should know that it is not as expensive as it seems. Yes, creating a professionally produced “About Us” video for your company website is going to set you back quite a bit. From pre-production costs like location scouting to post-production expenses like video editing, a typical video like that is definitely considered an upfront investment. However, there are much cheaper ways to embrace video content. Explainer videos, set against a white background, don’t require a big investment. All you need is a script, a camera, and someone with decent drawing abilities, and you are good to go! Plus, filming a quick video for your Instagram stories costs next to nothing. You can easily give your readers a sneak peek behind the scenes of your business or even share a personal story to increase emotional connection with your audience. Takeaway tip: video can be expensive, but it doesn’t have to be. Even using your smartphone to broadcast a live video can give your brand an authentic edge that your customers will love. Video content is consistently blowing text-based marketing out of the water, and marketers all across the globe are starting to catch on. 79% of consumers say they would rather watch a video than read a product description on an eCommerce site, and 59% of senior executives would rather watch a video than read the text on a landing page. In short? The consumers have spoken. Video content is in, and you need to start embracing it to stay competitive.